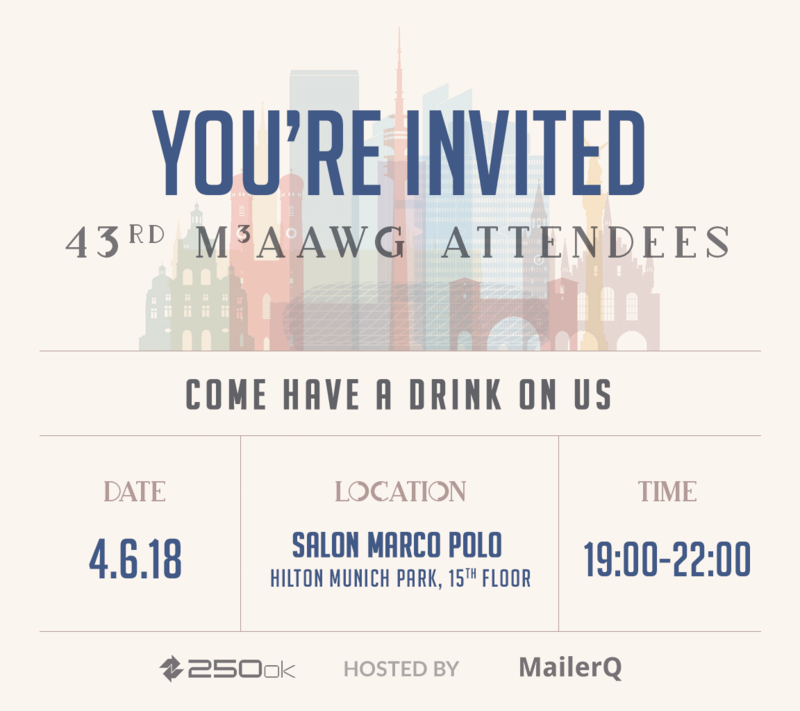 On the first day of the M3AAWG, the MailerQ team and our friends from 250ok will host drinks for all M3AAWG attendees. Feel free to join us from 19:00 and onwards in the Salon Marco Polo at the Hilton Munich Park Hotel. Do you want to learn more about MailerQ the most powerful MTA in the world? Feel free to contact us and make an appointment with our team! For attendees of M3AAWG 43 ONLY. No RSVP required.